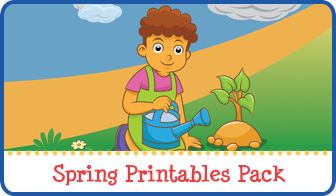 Learning shapes is an important task of early childhood. 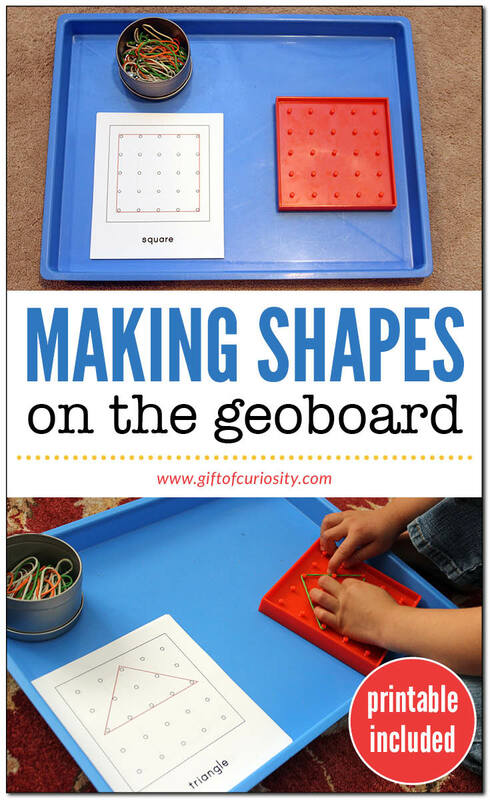 Making shapes on the geoboard is a great way for children to learn their shapes while also developing spatial awareness and fine motor skills. 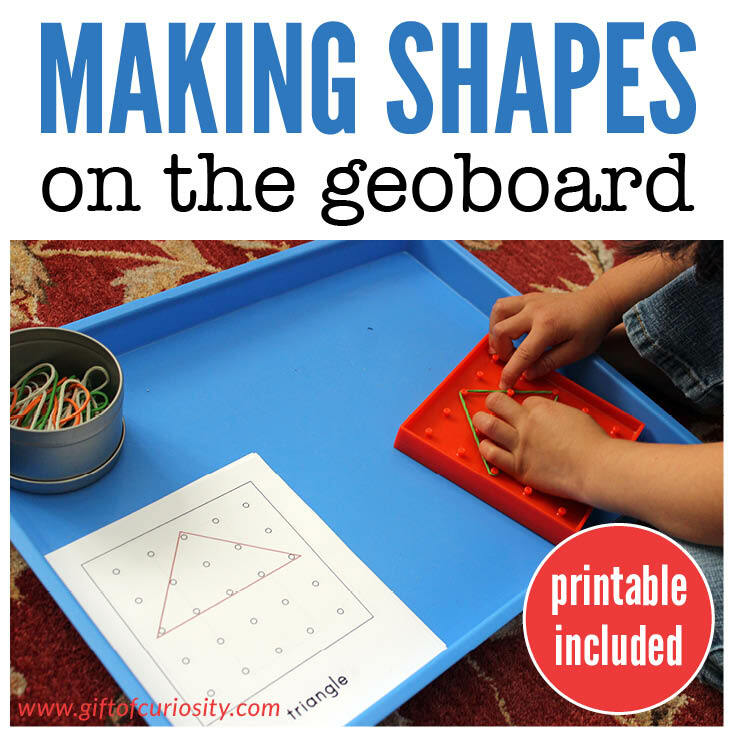 At the end of this post I offer a printable you can use to inspire your child to create a variety of different shapes and images on the geoboard. 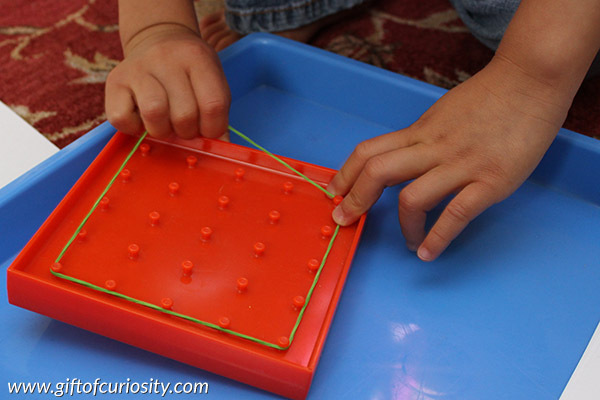 Geoboards are a great learning tool for young children. 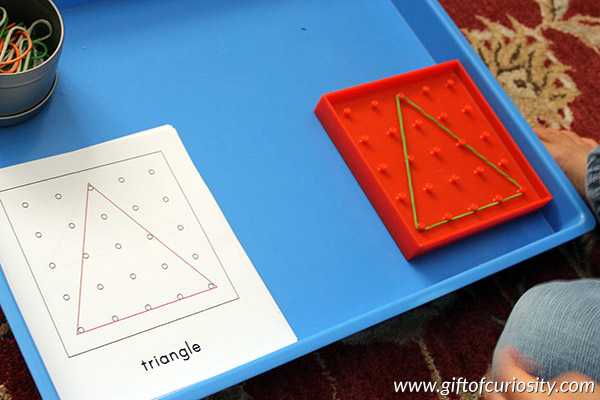 My printable Shapes on the Geoboard cards work best with geoboards that include a 5×5 array of pegs, but they can also work on larger geoboards as well. 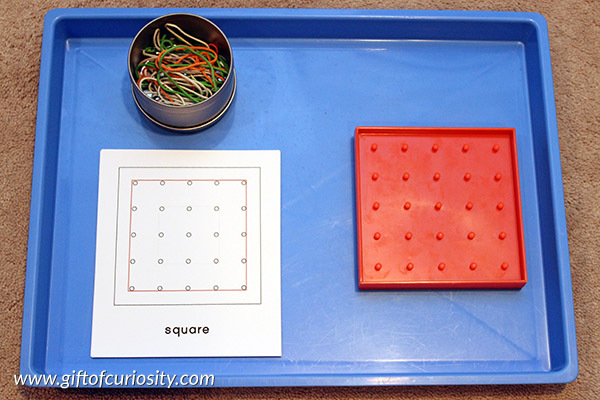 I prepared the activity for my daughter by placing the Shapes on the Geoboard cards on a tray along with a container of rubber bands and a geoboard. 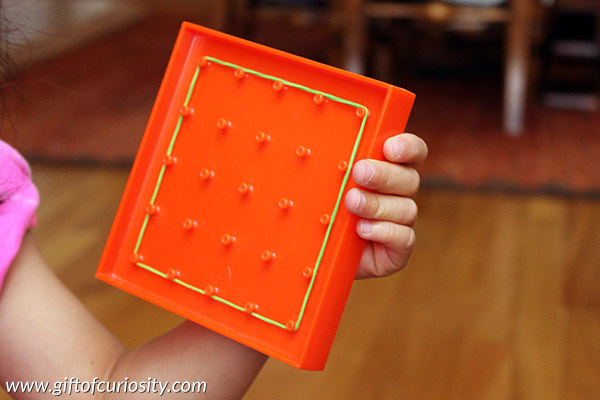 Her fine motor skills got quite the workout as she made this large square. 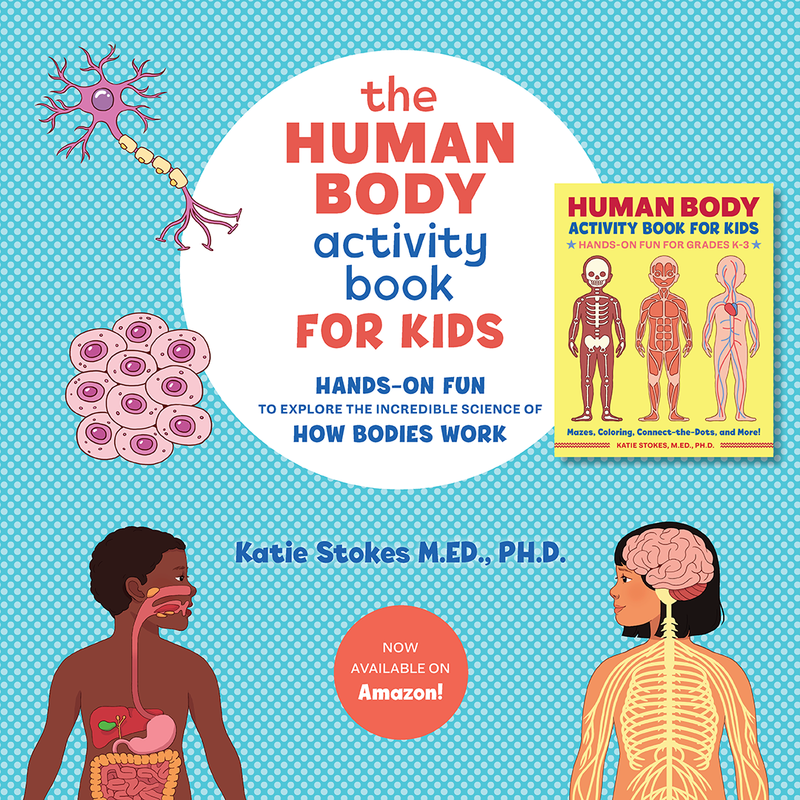 But she was super proud to show me her work when she was done. 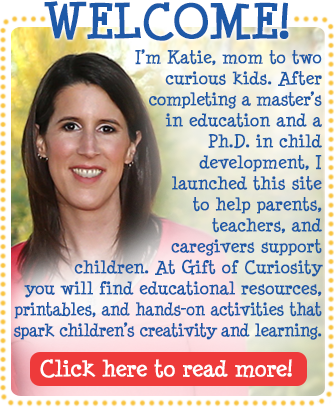 She initially had difficulty making this triangle. 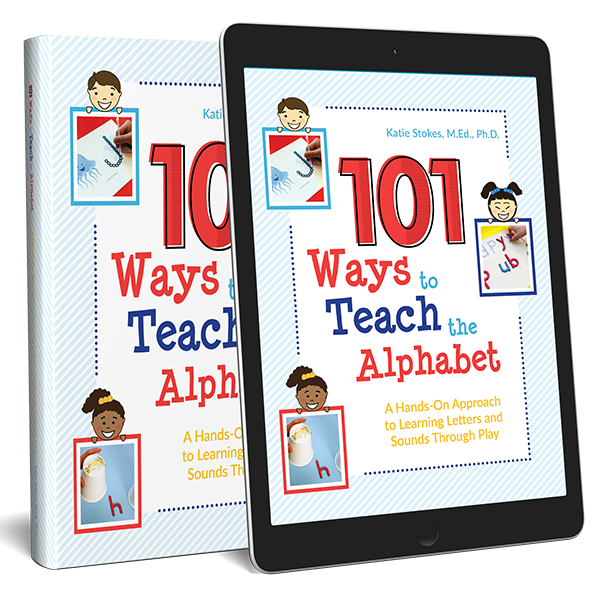 But with a bit of support she was able to spot her mistake and correct it. 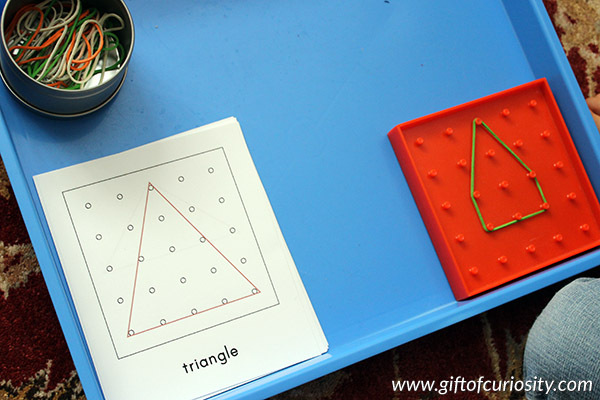 The printable Shapes on the Geoboard cards include two different ways to make squares, rectangles, and triangles. So in addition to the large triangle pictured above, my daughter also made a squat isosceles triangle as well. 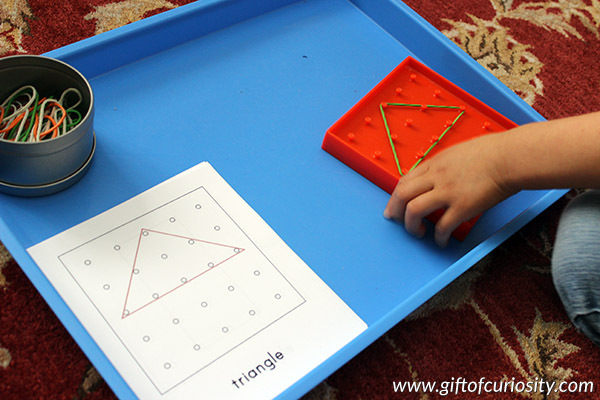 My Shapes on the Geoboard set includes 14 cards with shapes your child can make on the geoboard and 2 blank cards for you or your child to draw your own shapes to make on the geoboard. 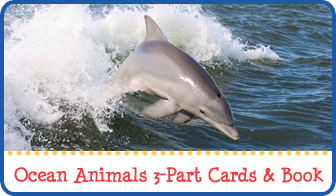 Of the 14 image cards, 4 of them include advanced images that encourage children to combine shapes to make a house, butterfly, star, or window. 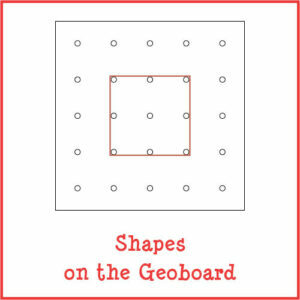 Want a copy of my Shapes on the Geoboard printable?